Recently I’ve spoken to several business owners who are literally prisoners to their businesses. Actually I see this on a regular basis but it seems like lately I’ve seen it more. The worst part is that THEY DON’T SEE IT! Let me encourage you to be honest with yourself today. It’s OK to admit that things are not perfect in your life and your business. I have to admit that to myself all the time, and I’m a business coach! The truth is that we are all on a journey to create the life of our dreams. Don’t settle for the status quo! Face reality about what’s working and what’s not working. 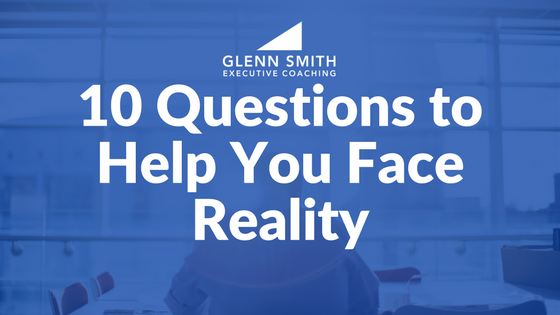 The first (and possibly most important) step toward improving your life and your business is to admit the truth: face current reality. Once you are clear about the “gap” between where you are and where you want to be, you are well on your way to achieving your dream. Do I often question, “Why do I have to do every darn thing myself”? Am I still working too much and making too little? Am I trapped working “in” my business instead of “on” my business? Do I constantly face frequent interruptions and repetitive questions from my staff? Do I go home many nights feeling mentally and physically drained? Do I dread the drudgery of facing and solving the same issues and problems each and every day – the burden of re-creating the wheel time and time again? Do I have anxiety about drowning in projects, problems, deadlines, crises, meetings, employee issues, unanswered voicemails/emails, customer complaints, administrative trivia, and on and on? Am I forever chained to a phone, computer, or email? Am I tired of having customers rely on me personally for services, solutions and satisfaction? Does my business negatively affect my family or social relationships? If you answered “Yes” to many of these questions you are not alone! This is simply an indication that it is time to make a change. The most important question, after you’ve faced reality it this: how much longer do you want to live this way? It may be time to consider taking a Strategic Retreat to get clarity and focus. Let me encourage you to talk to a respected peer or possibly even a business coach. Face reality and take action. You can make a change! The aim of owning your own business is to create the life of your dreams. 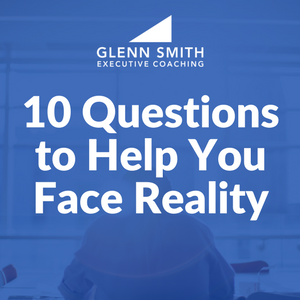 Business owners should face reality by asking themselves these 10 questions. How Do Small Businesses Build a Brand? Customer Service and Quality Do Not Differentiate You! Thanks to lots of time spent working with Glenn, on most days I can say “No” to most of those ten questions. Thank you for the great guidance and coaching you provide, Glenn!